an artist lives and works in Berlin and Zürich. Her diverse, playful and paintery artistic practice is driven by an inquiry about our relationship with the surrounding spaces. She was born in 1991 in Shanghai, lived afterwards in Japan, the U.S., Germany and Switzerland. 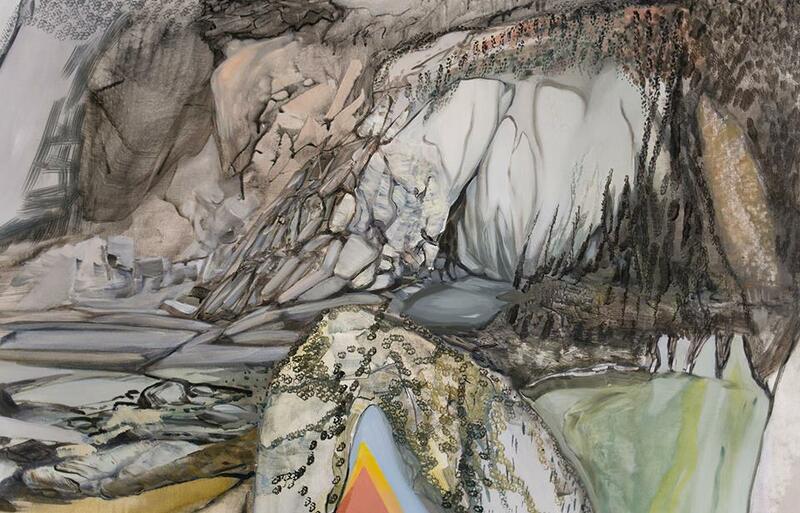 Her art is deeply influenced by her experience of extensive traveling, at the moment consisting of site and room-specific installations and paintings about Shanshui/lanscapes. The works inquire not only our common spatial notions but also those about shifting spaces, space as potentiality, movement-created, continual, heterotopic spaces and at last simply about our experience and perception formed through a place. From 2017, Vemo began to work intensively with the concept of playing inventively the Go/ Weiqi game in various interior spaces. Creaing painted sculptures 30 times larger than the original game pieces, she use her painted Goes, together with marking in rooms with coloured tape and process-oriented mural drawings, to explore the invisible, relational, effectual and potential spaces at given sites. On the other hand, contemplations on the notion of landscape also began to emerge and become central to Vemo’s artistic practice. The common denominator in her work is approaching photography in different ways. Bernardita´s themes of interest are identity aspects on urban spaces. She systematically register urban structures to generate documentary series under different premises. In them the orders are given by factors such as similarity and resemblance, rearranging the images and thereby revealing repeated patterns in reality. In her latest research she has added other medias such as video and installation work by the collection of images, sounds and objects from abandoned buildings, creating a metaphor about death through the phenomenon of demolitions. In parallel she is constantly researching on different technical possibilities of photography, manipulating it to create photomontages, stop motion animations or printing over several materials. With this interventions aspects of strangeness and ominous character are revealed in the image.